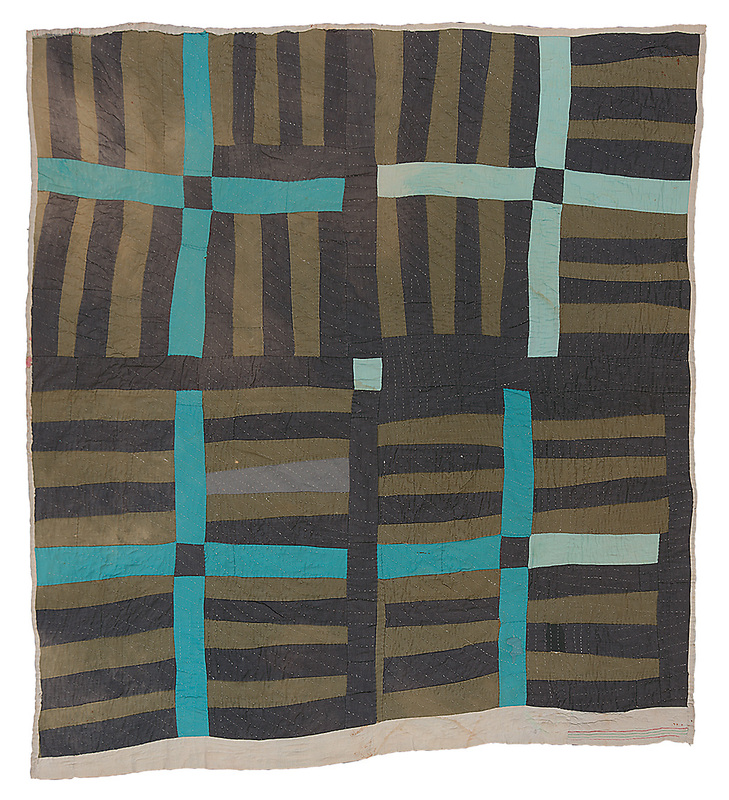 In a purely aesthetic sense, the more simplified constructions of the work-clothes quilts provided a blank canvas for experiments with a range of improvisational strategies, including sudden shifts in patterning, broken borders, irregular shapes, asymmetry, syncopation, and dissonant juxtapositions of prints and colors. In a purely aesthetic sense, the more simplified constructions of the work-clothes quilts provided a blank canvas for experiments with a range of improvisational strategies, including sudden shifts in patterning, broken borders, irregular shapes, asymmetry, syncopation, and dissonant juxtapositions of prints and colors. During the early 1960s, Loretta Pettway created a captivating trilogy of quilts with vastly different and highly imaginative designs, all miraculously rendered from the same dreary batch of men’s clothing scraps.